The Intersection looks at artists that blend jazz with electronica (a tradition pioneered by none other than Miles Davis on such classic recordings as On the Corner). This week's focus is Red Snapper. 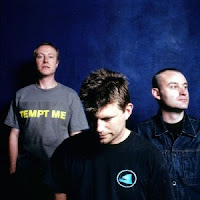 Like fellow Brits, The Cinematic Orchestra, electronica trio Red Snapper has fashioned a jazz-tinged sound through an expert blend of acoustic instruments and electronic textures. 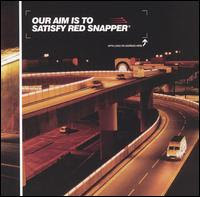 Founded in 1993 by guitarist David Ayers, double bassist Ali Friend and drummer Richard Thair, Red Snapper has (with some lineup changes along the way) explored acid jazz, trip hop and IDM styles on five albums, including Prince Blimey (’96), Making Bones (’98), Our Aim is to Satisfy (’00), Red Snapper (’03) and Pale Blue Dot (’08). 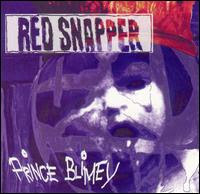 Prince Blimey, Red Snapper’s debut on Warp Records, established the group’s sound, which places heavy emphasis on throbbing double bass lines and detail-oriented drum patterns. Unfortunately the rhythm section is so strong that whatever is added to its scaffolding can sometimes feel like an afterthought. Thankfully, the alchemy works like a charm more often than not. On tracks like “3 Strikes and You’re Out,” “Thomas the Fib” and “Digging Doctor What What” the jazz noir atmospherics and forceful forward thrust of the grooves make for an entrancing listening experience. As for the guest appearances, they range from impressive (Ollie Moore’s saxophone on “Thomas the Fib”) to the merely acceptable (Anne Haigh’s vocal on “The Paranoid”). Overall, Prince Blimey is an impressive debut album that hasn't dated as much as some electronica albums of the mid '90s. 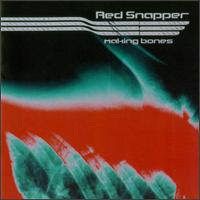 On Making Bones, Red Snapper simultaneously expanded its stylistic pallet (hip-hop, drum’n’bass, punk, soul and dub) and strengthened its sound. Again, Ayers (guitar), Friend (bass) and Thair (drums) amply demonstrate how live instrumentation can build a better groove than a sampler can – especially when the musicians have a strong feel for jazz. Witness the monster groove on the hip-hop/drum’n’bass frankentrack “The Sleepless” (with MC Det on the mic). Another creative high point is “4 Dead Monks,” which blends several layers of guitar (including Spanish) with trumpet, bass, electronics and drums. On “Crease,” the groove underpins some cinematic strings and a mood of escalating action and danger. Much like its predecessor, Our Aim is to Satisfy, explores a number of popular styles (big beat, hard rock, soul jazz) without losing sight (or sound) of the massive grooves that make Red Snapper so exciting. On “Bussing,” the sound incorporates scratches, alongside a bit of cinematic mood setting by brass and rhythm guitar. On “Shellback,” a grim gritty mood established by a ponderous beat and squelchy samples are aided and abetted by vocalist Karime Kendra, who also delivers diva-big on a breakbeat disco track, “The Rough and the Quick.” For all of its style hopping, Red Snapper always returns to the cinematic noir jazz sound that is its bread and butter, and this album’s “Keeping Pigs Together” is as absorbing and exciting as Red Snapper gets. 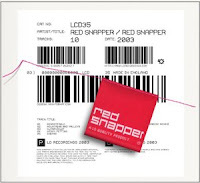 After a bit of a break, Red Snapper returned with an eponymously titled album that favors its noir jazz sound – imagine Lalo Schifrin’s Dirty Harry soundtracks redone for the electronica crowd. Surging brass, intricate keyboard and guitar textures supported by Red Snapper’s patented drum’n’bass foundation make tracks such as “Regrettable” and “Mountains and Valleys” so transporting. The production of the record also reflects the rapid advances in studio electronics. One listen to “Hot Flush” clearly shows how digital editing tools allow relatively traditional musicians (who play real instruments, and not just samplers and drum machines) can use electronics to expand their god-given abilities. 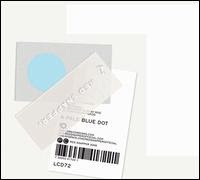 After a few years off, Red Snapper returned with Pale Blue Dot, an energetic album by clearly revitalized musicians whose instrumental chops are equally matched by their compositional skills. The addition of Tom Challenger on sax and melodica made a big difference. For proof, check out the propulsive and intriguing “Lagos Creepers” and the hard-edged “Wanga Doll”. As on the Red Snapper album, Pale Blue Dot favors noir jazz feeling over style hopping. So, while earlier albums such as Making Bones and Our Aim is to Satisfy offer great variety, the group’s later albums are more effective at exploring the group’s cinematic side. Just listen to the impromptu and enthusiastic hollering in the background on “Wanga Doll” and you can hear how much fun these guys are having – and you will too when you explore the sounds of Red Snapper.